There are ten CVC real words and ten CVC nonsense words. The activity is great to use for Daily 5 word work. 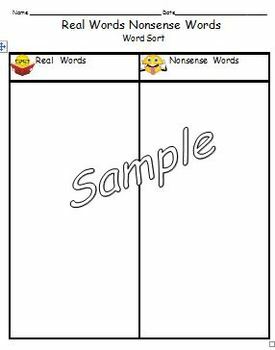 It also helps students practice and increase NWF (Nonsense Word Fluency). 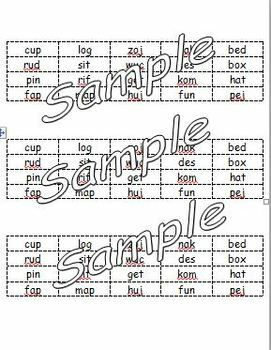 Three duplicate sets of words on one page helps save paper when printing/copying! Keep checking for more word sorts coming soon by First is Fabulous!